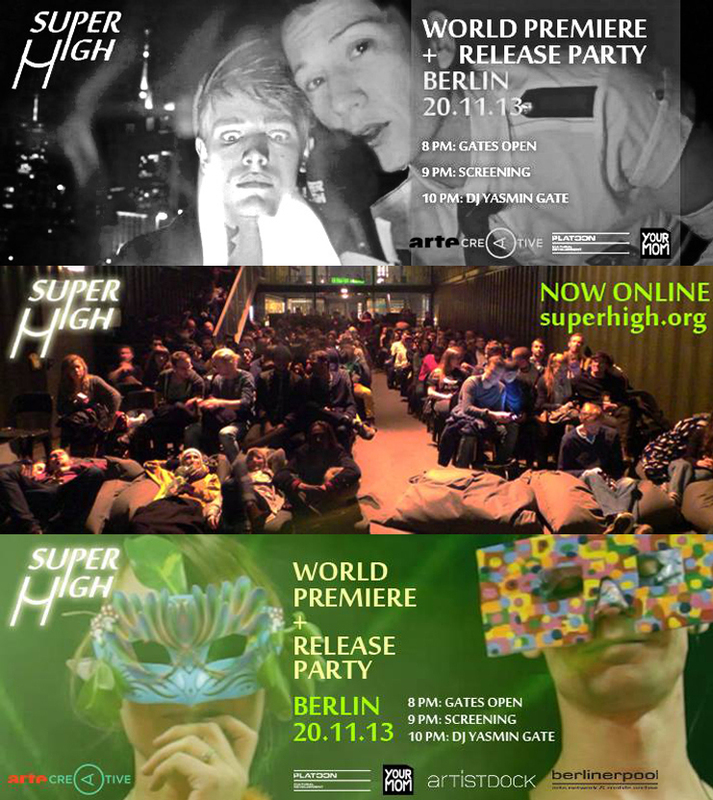 On November 20th, world premiere of SUPERHIGH! SUPERHIGH is an art/music/video project created by Boris Eldagsen and Sabine Taeubnerand and co-produced by Arte Creative that will be projected at Platoon from 8pm. The video-movie is about experiencing and mockumenting legal and illegal drugs and reaching the “super high”. The project discusses some social subjects such as consumerism, sensationalism, legal and illegal doings and the video will go live on Arte Creative the day after on the 21st – which happens to be International TV Day. In partnership with Platoon and Your Mom’s. Free entry and DJ set by Yasmin Gate (Killerrr) from 10pm, RSVP HERE.